Vortex is Delcam’s patent pending roughing strategy designed for optimal use of solid carbide tooling. The strategy includes performing deeper cuts using the full flute length as the cutting surface. Delcam claims that this strategy results in a time saving of around 60%, which is pretty decent. 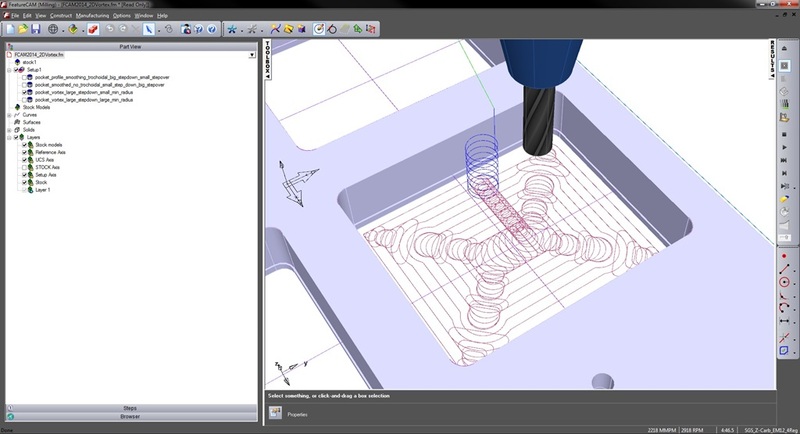 Voxtex was implemented in PowerMILL 2014, Delcam’s flagship CAM solution. And now it has been added to FeatureCAM 2014 as well. For customers on maintenance with appropriate licenses this strategy will come free of cost. Here is a video explaining Vortex in FeatureCAM 2014.